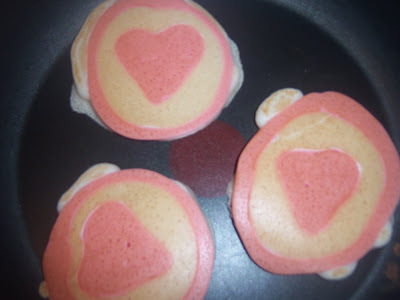 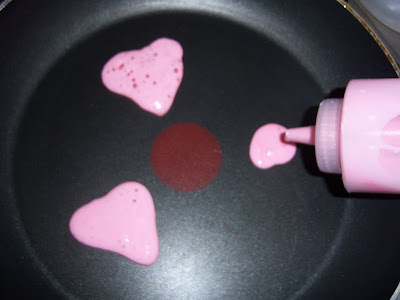 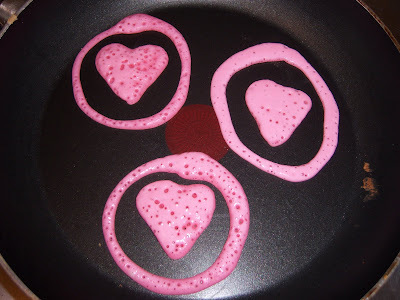 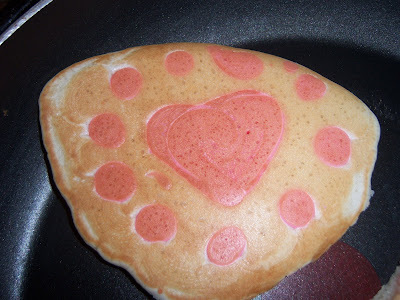 Draw a heart with the tinted batter in the hot pan. 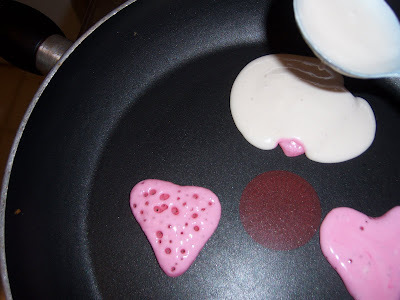 Viola! 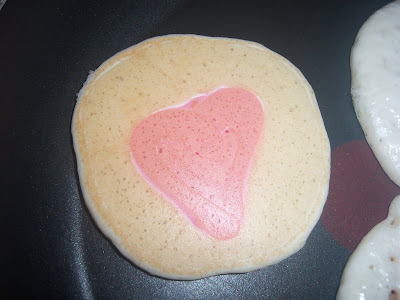 A sweet valentine breakfast treat!